We will develop sensor-based weed harrowing to be able to offer cereal farmers a non-chemical alternative to control annual weeds. The motivation for use of sensors is that finding the correct harrowing intensity in traditional weed harrowing is difficult. Too light harrowing will have poor effect. Too hard harrowing will damage the cereals. Besides, optimal intensity can vary within a field. By using sensors, the weed harrowing intensity can be automatized and optimized by adjusting the angle of the tines while harrowing. The sensors we use are (1) RGB camera with accompanying software that can estimate the coverage of cereal, weed and soil and (2) electronic load cell that can measure soil density in the harrowing soil layer. 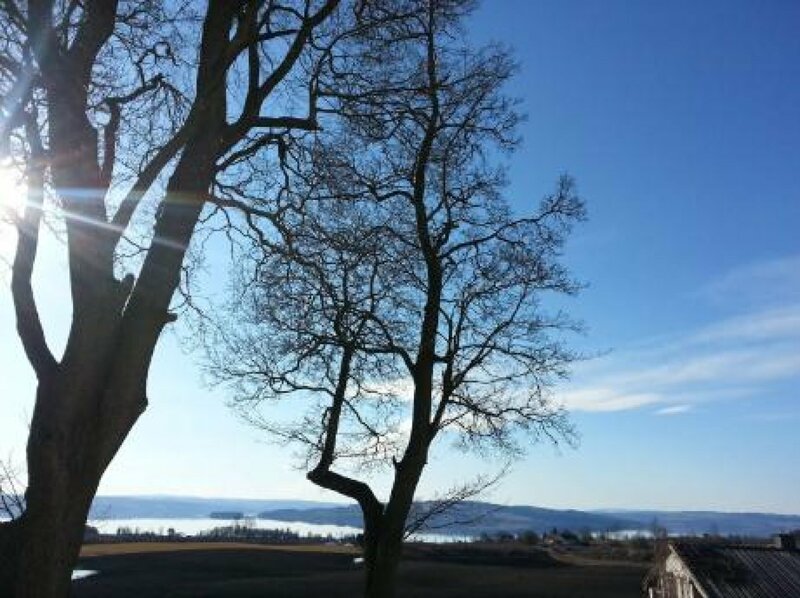 Development and testing will take place in fields in the SE Norway. 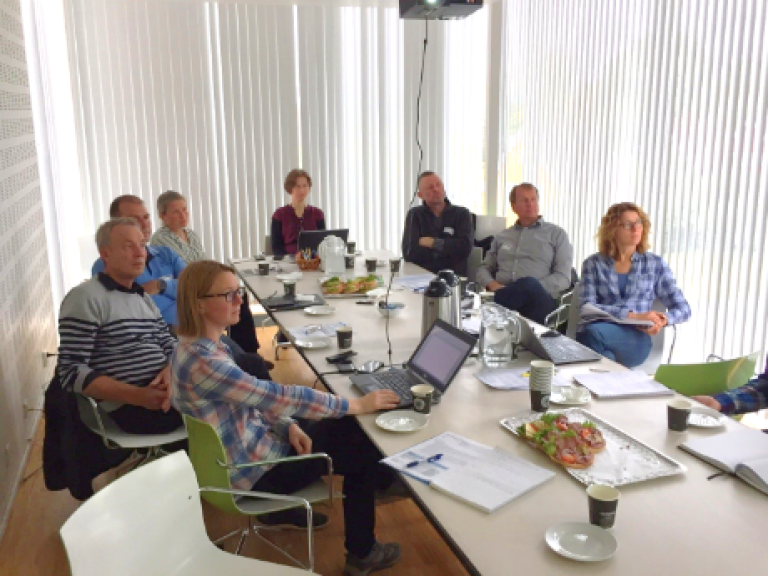 Methods for pest management based on odours will be developed and tested in lab and field in Norway and Hungary (Centre for Agricultural Research). In cereal and apple, we will develop and optimize odour based methods, and we expect these will increase the population of natural enemies (green lacewings/Chrysopidae) of aphids through increased oviposition and winter survival of green lacewings. 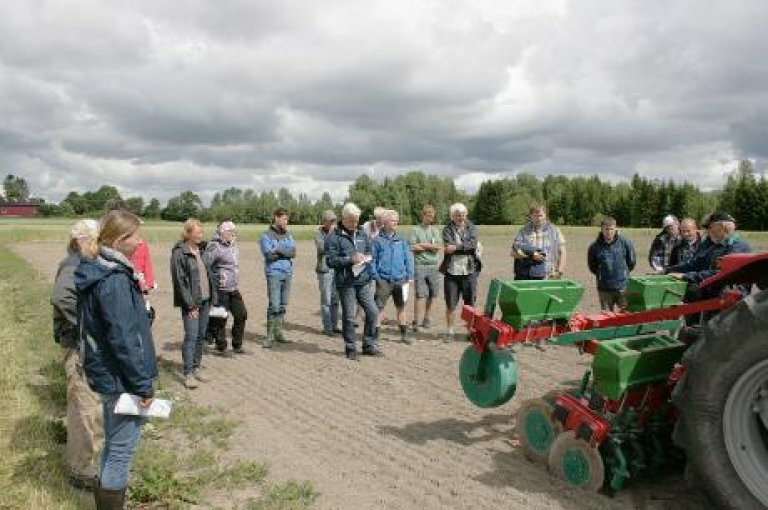 The field trials in cereal will take place in the Eastern part of Norway. 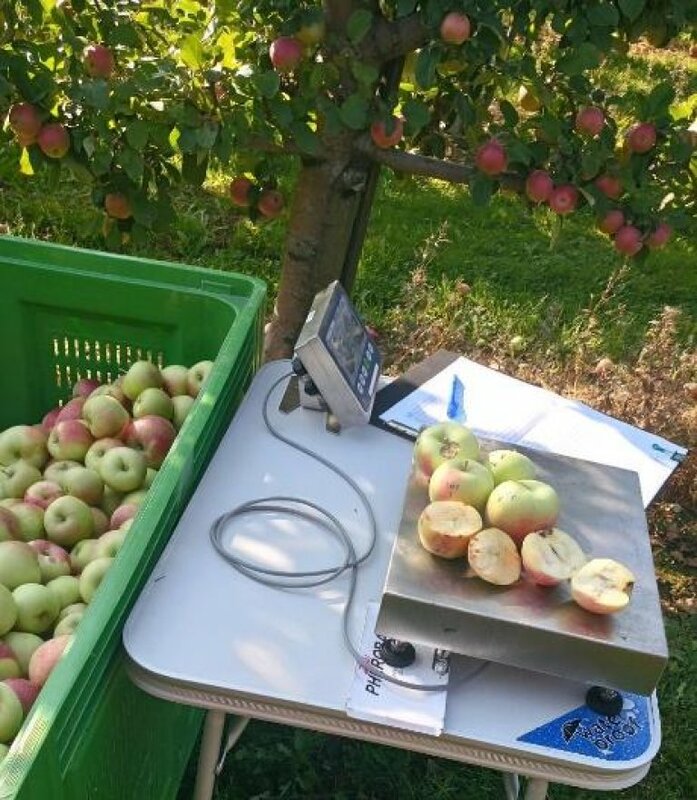 The field trials in apple will take place in Hungary, and towards the end of the project, the apple field trials will be evaluated in the Western part of Norway. Strawberry cultivation in high plastic tunnels gives a number of benefits, including less problems with many diseases and more stable yields. However, powdery mildew and two-spotted spidermites may become problematic in dry conditions. To offer growers a non-chemical alternative, we will develop sprinkler irrigation as means to control mildew and spidermites. The hypothesis is that an optimal irrigation regime will give at least the same effect as using pesticides. Growers claim that drought stressed strawberry plants are more prone to become infected by powdery mildew than plants with a good water balance. We will test this hypothesis under laboratory and greenhouse conditions. The experiments will take place at Ås. 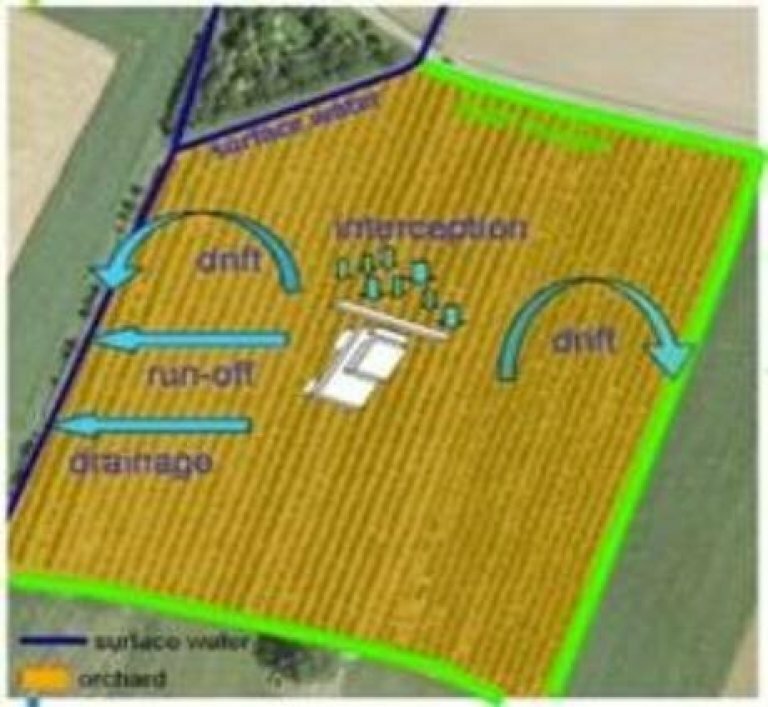 By involving possible users of the new IPM tools developed and tested in this work package, the researchers will receive feedback on strong and weak sides of the innovations, and the end users will as such be able to positively affect the innovations. Discussions will take place in meetings organized as focus groups constituting growers, other practitioners, researchers and developers. There will be one focus group per culture. We will test three IPM practices in permanent fields with spring seeds and winter wheat in Eastern Norway. The three practices are 1) existing plant protection/pesticide practice, 2) intensive IPM and 3) extensive IPM. We will measure the effect of the different practices on the amount of pests, the use of pesticides and the quality and quantity of the crops. In winter wheat we will also carry out more detailed field studies to test the interaction between specific plant pests, natural enemies and plant protection/pesticides. The field trials will also be used to demonstrate IPM through field days and videos. We will test three IPM practices in 0.1 ha plots placed in 5 established strawberry crops in South Norway. The three practices are 1) existing plant protection/pesticide practice, 2) intensive IPM and 3) extensive IPM. We will measure total effect of the practices on the amount of pests, and the quality and quantity of the crops. In apple, we will collect data on pests, diseases, beneficials, yield and existing practice from 30 orchards in two areas (Oslofjord and Hardanger). The strawberry studies will take place in cooperation with a similar project in Brazil. The field trials will also be used to demonstrate IPM through field days and videos. In order to improve the understanding of the mechanisms behind the total effect of the IPM practices we observe in the field, we will perform controlled experiments with selected organisms in the laboratory. For instance, we may study the effect of pesticides on the interaction between specific harmful organisms and their natural enemies. To ensure that the IPM practices are practically feasible and economically sustainable we will carry out focus group meetings with experienced growers and advisors. In the focus group meetings, the participants will give input to proposed plant protection measures before and during the field trial period. We will also study the financial effect of the IPM practices for the growers by use of models that can be run with crop data and other relevant results from the field. This process will also provide information helping the calculation of economic injury level for the most important pests. Text in English about WP3 is on its way. Text in English about WP 4 is on its way. Text in English about WP5 is on its way. Innovative approaches and technologies for Integrated Pest Management to increase sustainable food production. Norway has implemented EU´s Directive on sustainable use of pesticides (2009/128/EC) which promotes the use of Integrated Pest Management (IPM) and alternative approaches or techniques (IPM tools) to minimize pesticide use. There is a lack, however, of proven and practical IPM tools for farmers to use, as well as a relevant policy for a successful implementation of IPM. 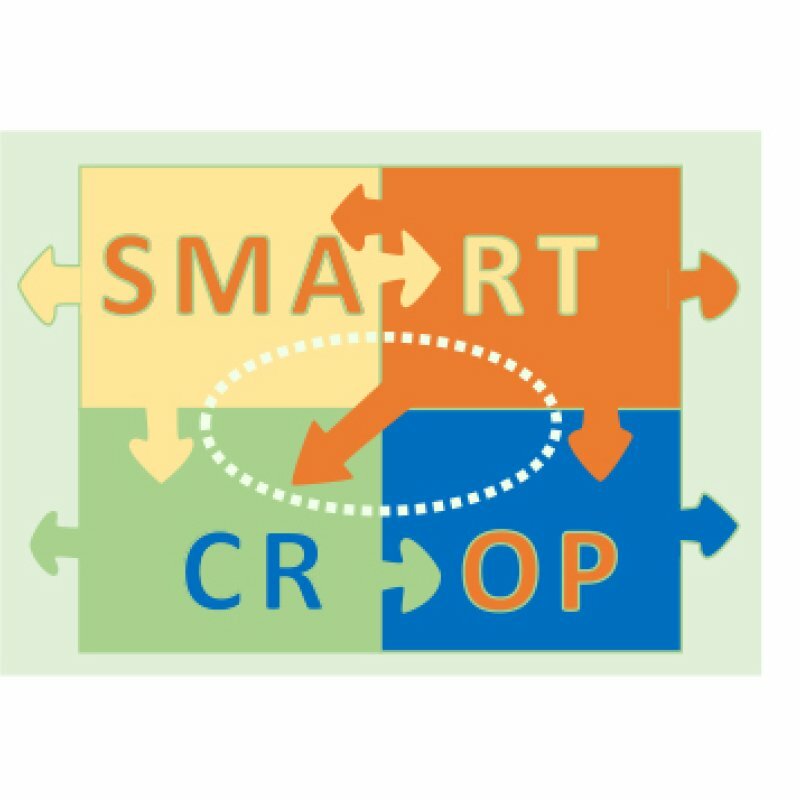 In SMARTCROP we aim to meet these challenges. The project is divided into 5 Work Packages (WPs) as presented below.